Philpott Lake offers 3,000 acres of open water for boating, fishing, swimming, skiing and diving. Beaver Creek Reservoir offers 165 acres of water for boating and fishing. Canoes are available for rent from Martinsville Parks & Recreation. The Smith River in Henry County offers 45 miles of scenic waters for paddling and fishing. 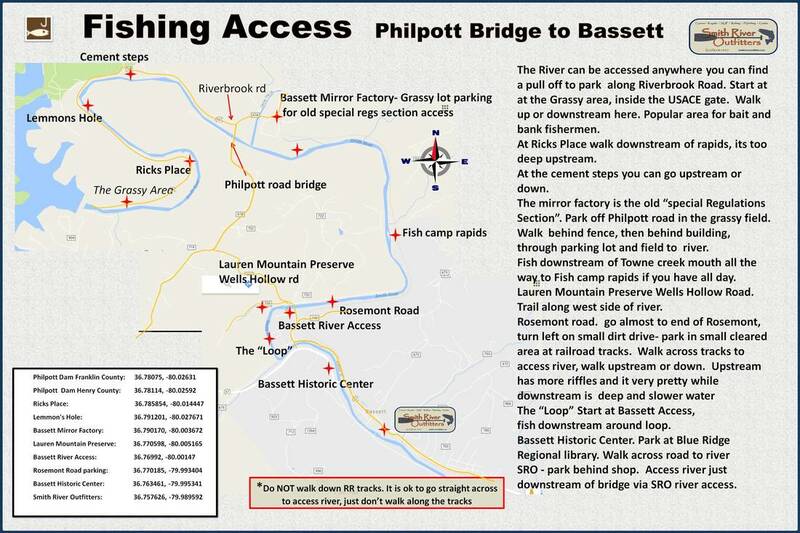 Ten public access points make it very easy to enjoy a wade, calm float or adventurous paddle on the river. Book your reservation now for Philpott Marina, opening mid to late summer 2013. Martinsville-Henry County is a proud partner of Fish Virginia First. Angler's Choice. Visit the showroom located at 6771 A.L. Philpott Hwy Martinsville. ﻿Visit the Dan River Region in North Carolina - just 45 minutes from us ﻿!